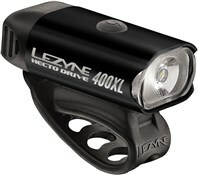 Light the way home with the Lezyne Hecto Drive 300XL front bike light. 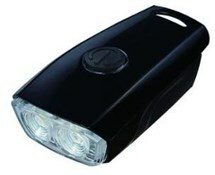 Delivering a huge 300 lumen output this is enough for the darkest roads to see and be seen with. Cutaways in the side of the shell allow for 180 degree visibility. Your safety and visibility is enhanced at crossings, junctions and roundabouts. 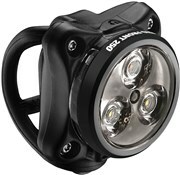 The light easily attaches to a wide range of handlebar diameters via an integrated strap or optional composite mount for tool-less installation, or to your helmet via the helmet mount. The new super economical ‘Femto’ mode allows you to ride for hours without a charge. Burntimes vary depending on which of the 7 brightness modes you’re using. 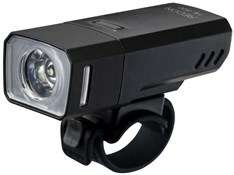 Lezyne's Year 9 collection leads the industry in bike lighting and rider visibility. This year their mid to top end systems are armed with the latest LED tech, better battery life and a huge increase in lumen output. Uniform Power Beam "MOR" lens for increased output efficiency. Seven modes: Blast, Enduro, Economy and Femto solid modes, Three flash modes. 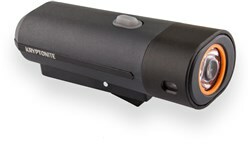 Output rating: Blast 300lm, Enduro 150lm, Economy 75lm, Femto 15lm, Flash modes 50lm. Burn times: 1hr - 18hr depending on mode. Exceptional value for money. 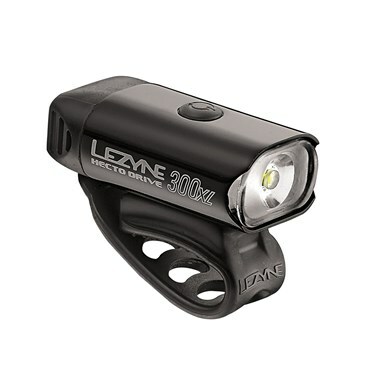 On 300 lumens can last about an hour - can last a lot longer on some of the other options. Perfect for commuting. USB recharging is easy and convenient. Current price is excellent value for a light, well built unit. Easy to attach and unobtrusive on the bar tops. Replaces my 10year old cat-eye unit with gains alround. Have not tried the light on unlit country lanes yet. Urban night riding no problems. This Front Light is truly a quality piece of engineering. The performance has exceeded my expectations. I've bought a rear light from the same manufacturer. Can thoroughly recommend this lamp. Great fantastically bright and lots of variations including two different flashing speeds. Easy to take off and off bike. Worth getting a lead for charging so it is not able to be damaged whilst charging.